Performing on stage since the age of two, Pamela K. Ward has a lifetime of experience entertaining audiences at fairs, festivals, and events across the country. Pamela has toured and shared the stage with some of the greatest musicians in the industry. She has recorded multiple sessions in southern California, on Nashville’s famed Music Row, and her music has beenfeatured on live radio and television. Pamela has opened for artists ranging from Jimmy Buffett to Loretta Lynn and she was the house band artist at the World Famous Wildhorse Saloon in Nashville from 2010-2011. She is currently a house band artist for the NHL Nashville Predators, performing for multiple home games and other events at Bridgestone Arena in Nashville. In July 2013, she released her first full length solo album, comprised of 12 original songs, all written or co-written by Pamela. 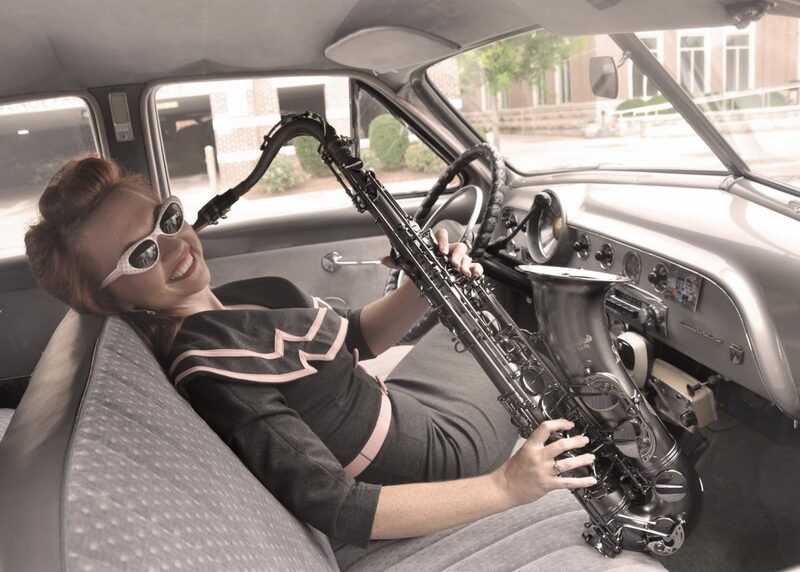 From the sax infused, attitude driven ‘Stilettos,’ to the cd’s bonus track, 50’s do-wop inspired ‘Everyday a Holiday,’ each song brings a different, entertaining element of Pamela’s artistic personality to the listener. She may be just a farm girl from the sticks in Arkansas, but she carries a big sax, has some big pipes and at 4’11” and 100 pounds…she’s proof that big things come in small packages.